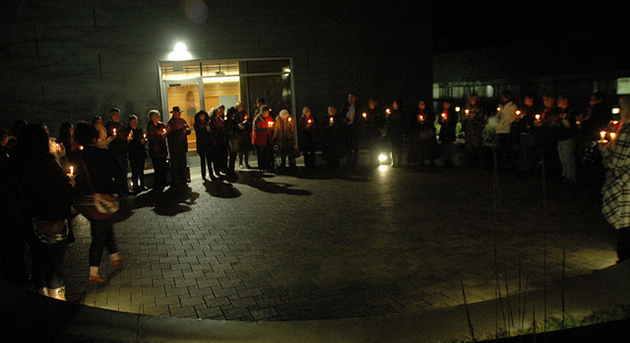 A scene from the candlelight vigil in 2012. This year’s vigil will be during daylight hours, at 12:30 outside the Gathering Place at UFV’s Chilliwack campus. One Response to A scene from the candlelight vigil in 2012. This year’s vigil will be during daylight hours, at 12:30 outside the Gathering Place at UFV’s Chilliwack campus.